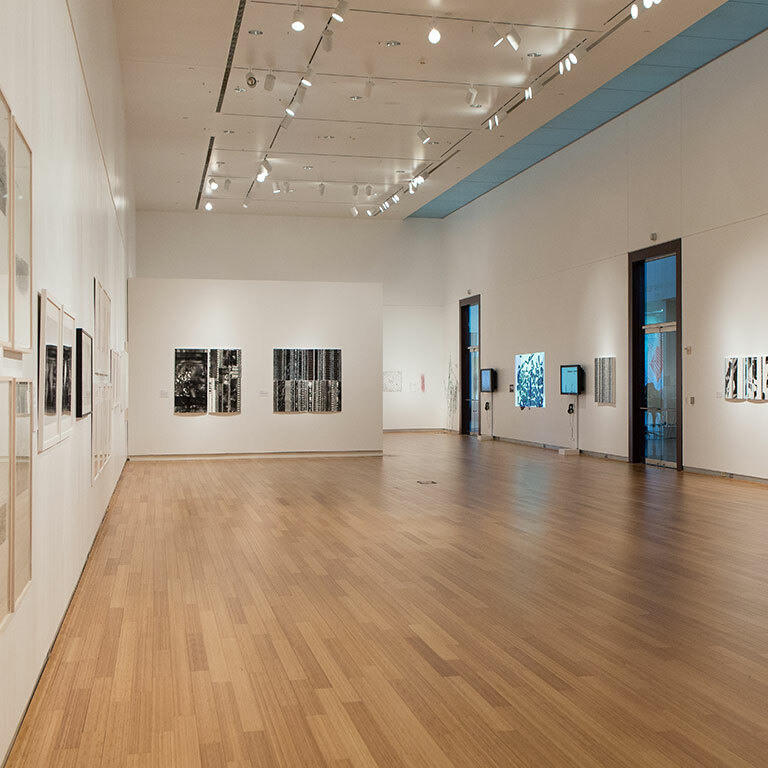 With 3200 square feet of column-free, environmentally-controlled exhibition space and 21 foot ceilings, Herron’s main gallery is designed to accommodate world-class exhibitions and ranks as one of the premier venues for contemporary art in Indiana. These galleries are located on the ground floor of Eskenazi Hall at the west end of the building across from the Basile Auditorium. A 1,100 square foot “white box” gallery with 16 foot ceilings, professional track lighting and diffused natural light. The Marsh Gallery is located on the ground floor of Eskenazi Hall at the east end of the building near the Student Services Office. A 600 square foot gallery designed to host small-scale exhibitions and curatorial projects. 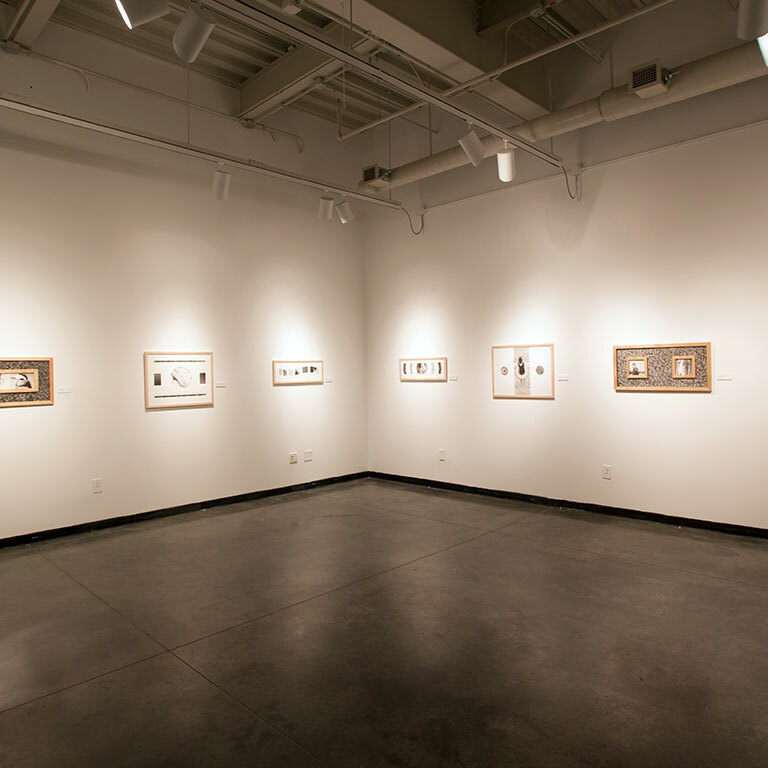 The Basile Gallery is located in the center of the main floor of Eskenazi Hall, adjacent to the Herron Art Library. 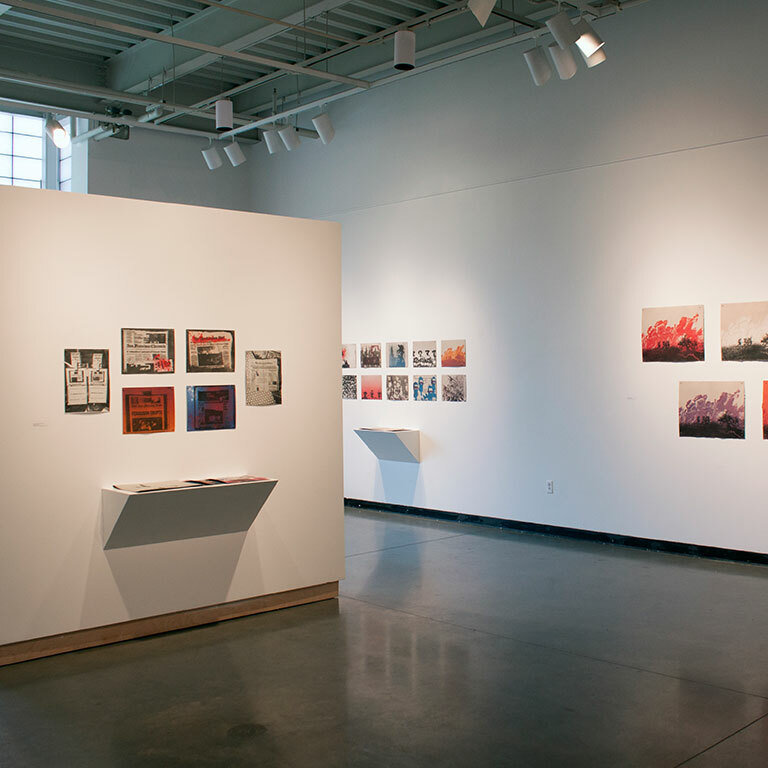 Multiple exhibition and critique spaces at the Eskenazi Fine Arts Center primarily support the pedagogy and educational mission of the School of Art & Design, allowing faculty and students to exchange ideas and build upon their classroom learning. Through lectures, symposia, performances and other events, Herron’s public programming serves as a catalyst for discussions about timely issues related to contemporary art and culture. All talks are free and open to the public. Included among the many events taking place throughout the year are four endowed talks annually. “I want to make an impact on the community that surrounds me and help make the arts accessible to our residents,” said Jane Fortune when she established this series to bring internationally acclaimed female artists to Herron. Past speakers have included Judy Chicago, Polly Apfelbaum, Eleanor Antin and Maria Magdalena Campos-Pons. The Leibman Lecture is a joint project of Herron School of Art and Design, the IU Kelley School of Business and the IU Robert H. McKinney School of Law—all on the IUPUI campus. Past Leibman forum topics, which blend the visual arts, business and law, have ranged from the documentary The Art of The Steal to a presentation by the U.S. Department of Treasury on engraving practices. The Christel DeHaan Family Foundation Visiting Artist Lecture brings prominent contemporary artists to come to Herron to present their work and ideas. Past speakers have included Francis Whitehead and Wayne White. Established in honor of the founding instructor of Herron’s Furniture Design Program, Professor Phillip Tennant and through the generosity of James W. and Nancy C. Smith, this lecture series supports a visiting artist or scholar from the fields of furniture design, fabrication or a closely related field. Philanthropy has made the Herron Galleries and visiting artists’ talks possible. The school is grateful for the vision of its generous donors, who have helped to assure through their investments that gallery programming can remain robust. Their names are associated with the spaces and the visiting artists’ events they have supported in recognition of their devotion to visual art.